Looking for a Used SLR McLaren in your area? CarGurus has 21 nationwide SLR McLaren listings starting at $269,775. 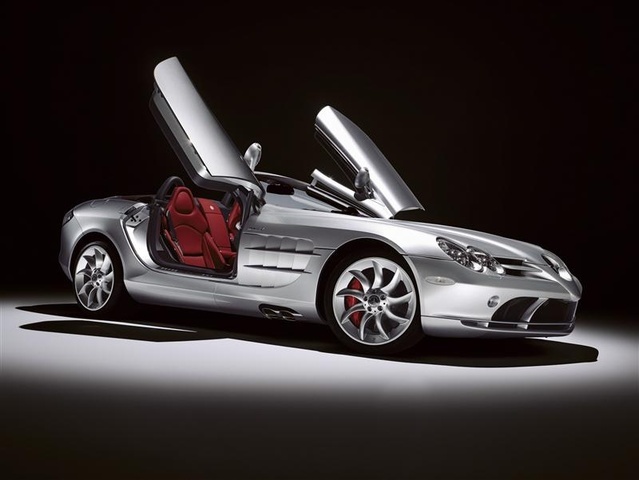 Mercedes-Benz gives the SLR-Class a makeover for 2009, launching a limited-edition SLR McLaren Roadster 722 S, which takes the place of the previous year's SLR McLaren Roadster. Powered by a supercharged 5.5-liter V8 engine that produces a whopping 650 hp and 605 lb-ft of torque, the new 722 S will jump out from 0 to 60 in just 3.7 seconds and have a top speed of 208 mph, making it one of the fastest convertibles in the world. AMG, the in-house performance tuner for Mercedes, will hand-build the engine at its plant in Germany. The engine will sit amidships in the roadster (behind the front axle but ahead of the passenger compartment), ensuring good overall balance and handling. Designwise, the new McLaren Roadster 722 S closely resembles the roadster it replaces, with its long, Formula 1-inspired arrow-shaped nose, twin-fin front spoiler, side gills that funnel air into the engine compartment, and swing-wing doors that open both forward and upward. The 722 S features a chassis and body shell made entirely of high-strength carbon-fiber composites, and a fiber convertible top made from a high-tech material, as Mercedes describes it. The carbon-fiber body helps keep weight down and enables the 722 S to achieve its rocket-ship speeds. Lightweight ceramic brakes and a four-position Airbrake system will provide increased braking power for stopping the 722 S safely when traveling at high speeds. A pop-up roll bar will help keep passengers safe in the event of a rollover. Inside, the 722 S should come similarly equipped to the '08 SLR McLaren and include such features as body-contour carbon-fiber sports seats covered in leather and Alcantara (a high-end composite material), a sport steering wheel with fingertip controls, a matte chrome instrument panel, a push-button starter, and leather trim throughout the interior. The SLR McLaren Roadster 722 S takes part of its name from the 1955 No. 722 Mercedes-Benz SLR racer driven by Stirling Moss in the Mille Miglia road race for three consecutive years. Mercedes will offer the 2009 722 S in a limited edition of only 150 units, with a sticker price somewhere north of half a million dollars, so place your orders now. What's your take on the 2009 Mercedes-Benz SLR McLaren? 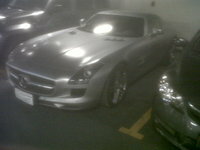 Have you driven a 2009 Mercedes-Benz SLR McLaren? 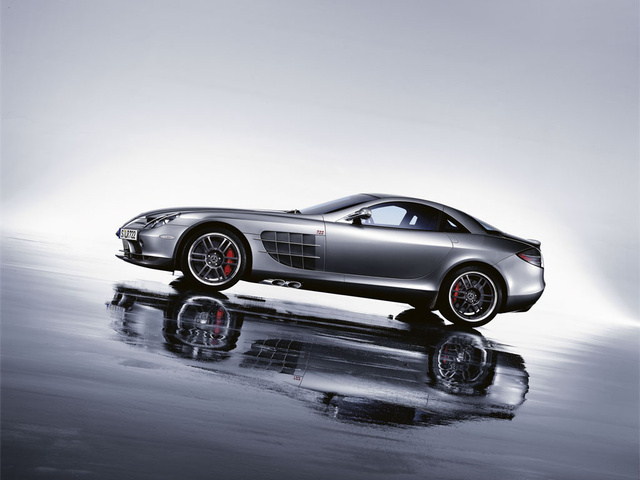 What Do You Think Of The 2009 Mercedes-Benz SLR McLaren? whats the numbers for horsepower,torque,and top speed?